Home » Posts » Attentionology for K-5 Teachers » Sign On to a Road Show for Teaching! 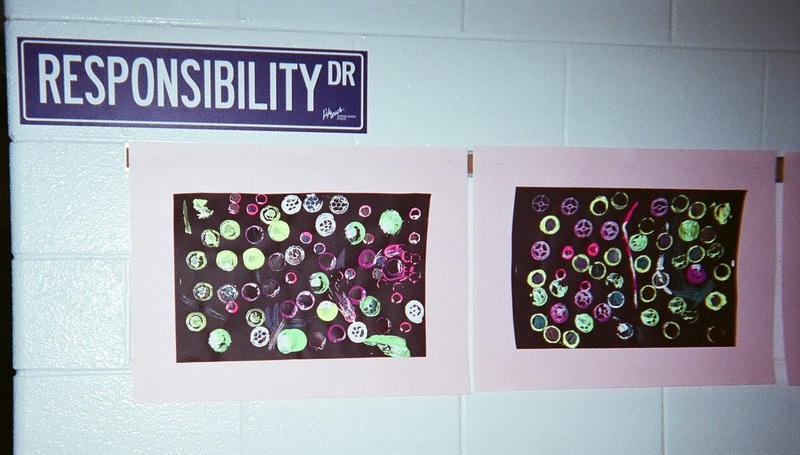 Where does Responsibility Drive lead students and teachers? …check out the street sign in my blog pic here. I found it posted at the corner of two halls in a school where I recently taught writing. Responsibility Drive took me (at least in my mind) to a road called Opportunity Expressway. 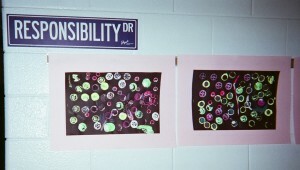 As you can see in the blog pic showing Responsibility Drive, part of the wall below the sign is being used to display student art work. Teachers in this school take turns changing up the visual art exhibits along this hallway. I’d recommend making a stronger curriculum connection in this location by exhibiting posters below the street sign that feature character traits that you want to develop in students, like the one in my blog pic below that also relates to responsibility. 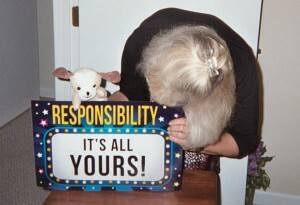 After “Peppi” helps the class discuss responsibility, I can exhibit this poster along Responsibility Drive. “Sign on to a road show” and you have the option of ordering road signs that feature just about anything you want, including other desirable character traits. A wide selection of customized street signs can be found online. Opportunity Expressway may also lead to Writing Process Place. Why stop there? When I take students to Writing Process Place I tell them that we need to not just stop by; we need to park for a while and spend more time learning and using the Writing Process. A Writing Process Place sign can help kids visualize themselves committing more time at home, as well as in school when the daily schedule allows, to getting quality writing done. I know that teachers’ time is already stretched to the max, but in a world driven by information and communication, writing is more important than ever before. Teachers can “drive” students to understand that no matter WHAT kind of writing they might need to do…non-fiction, fiction, poetry, opinion, reports, etc…time spent visiting Writing Process Place will help them develop key communication skills. 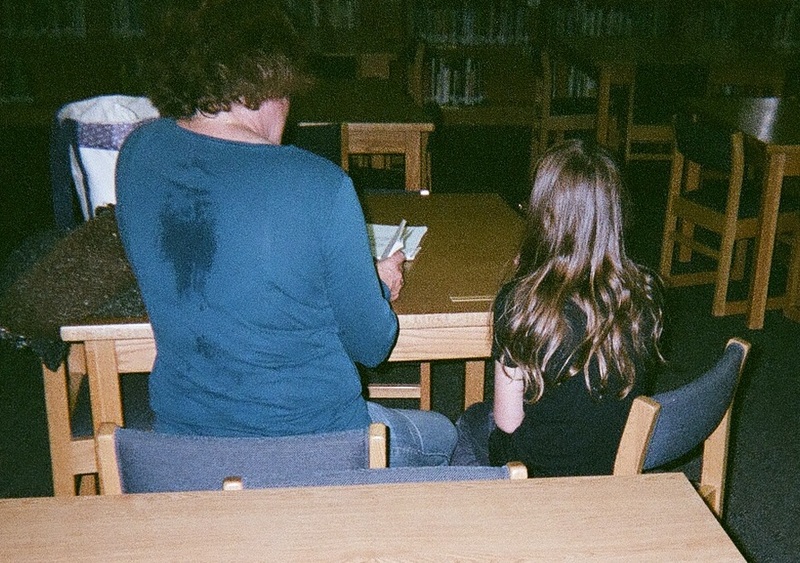 Many students, like the boy in my blog pic here, struggle with words. They tend to rush through their work to be done with it. Teachers that post a Writing Process Place street sign in class can help make writing time more fun and inviting. Good news! Teachers can “sign on to a road show” without ever ordering actual street signs from vendors. Time saved. Money saved. How? Make your own street signs! Print the parts of the writing process, one on each rectangle using road-related names like – Prewriting Pathway – Writing Zone – Revising Road – Editing Avenue – Publishing Junction. This librarian could be planning a bulletin board for her media center that features road signs. Just for fun, let’s take a page out of the thesaurus and “drive” over to other curriculum hubs where teachers (and students in grades 4-5; turn this into a class activity if you like) can match up street signs with elementary school subjects in addition to writing and reading. NOTE: Obviously, I’m using an English thesaurus; teachers working in other languages will select names that are appropriate for them. Music Thruway – notes following notes; listen as we travel through the melodies and lyrics. Transition Turnpike – time to exit this activity and pick up a new pike. Notice that I wrote visual cues OR verbal cues. Once you’ve introduced your class to the concept of “road shows” for learning, you don’t even have to make actual street signs to have impact. When teachers “sign on to a road show” they can merge onto Possibility Parkway and drive their classes for miles and miles of learning. Please send comments about your own teaching roads well-traveled. 1 Pings/Trackbacks for "Sign On to a Road Show for Teaching!"